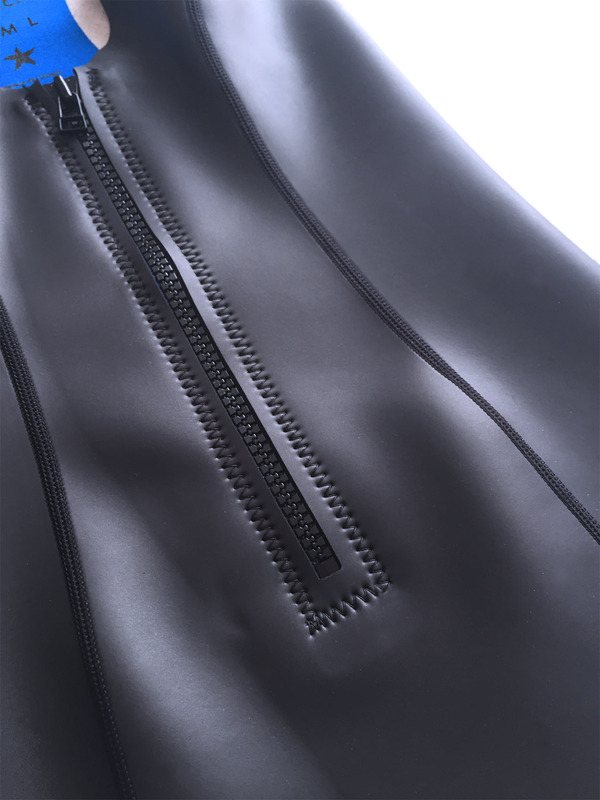 Sporty racerback onepiece wetsuit with YKK secure zipper and raw cut finishes. An ultra flattering, no-bulge silhouette builder. Sustainable Limestone based quality which replace the Petroleum source for a natural one. Please use care when pulling the suit on and off to prevent fingernail tears on the smoothskin surface. XS size will go well for 83 bust, 60 waist, 88 hips, height up to 1,69m.